Windows 10 is a good operating system, but it can be a little buggy at times. Hopefully the forthcoming Anniversary Update will fix a lot of these issues, although it’s equally possible it may introduce more bugs along with the raft of new features. If you’ve been having problems with the Start menu in Windows 10 the good news is Microsoft has released a new troubleshooting tool which can identify and fix many issues automatically. All you need to do is download the troubleshooter from here (direct download) and run it. 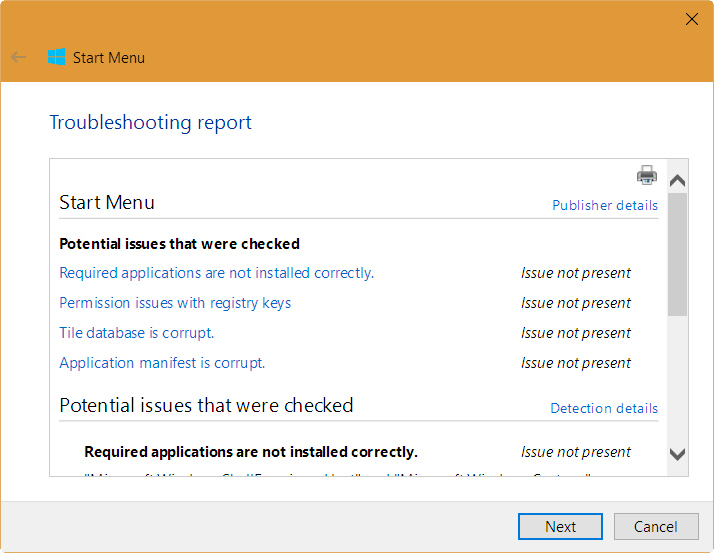 Click Next and the troubleshooter will attempt to detect and automatically repair any found issues. If it can’t identify the problems you’re having, you can choose to explore additional options or just close the troubleshooter. You can also view a troubleshooting report which will tell you what issues were checked, and the findings. Click the small Advanced link on the opening screen and you’ll be able to uncheck the automatic repair option if you’d rather the tool just reported on found problems. Whether any applications are incorrectly installed. For registry key permission issues. For tile database corruption issues. For application manifest corruption issues. 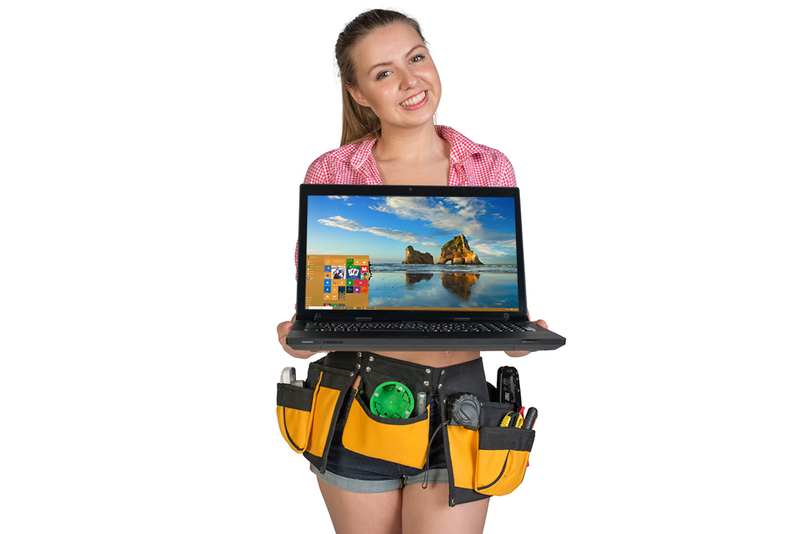 If you’re having problems with the Start menu, then this tool should be the first thing you try.